Piña was born of the desire to create a new seating concept, combining comfortable woven steel rods with solid wooden legs. With the weight of the seated body, the rods create a distinctive “capitonné e ect” on the back of the cushion, adding to the very special character of this design. This very simple yet unique idea has given rise to an entire family of furniture: in addition to this armchair, the Piña collection includes a comfortable low chair with footrest, a handy Producion Process table and an amusing rocking chair. 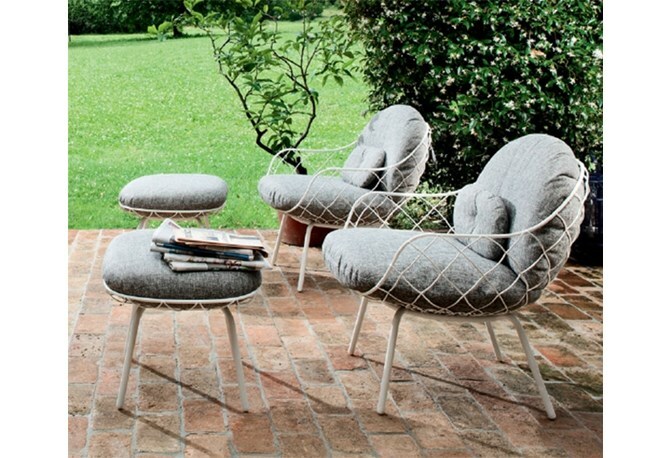 Suitable also for outdoor use (the version with steel tube legs treated for outdoor use), the Piña collection is rendered even more versatile by the choice of different finishes, perfect for every style and setting. Legs in solid ash or natural or painted. Seat in steel rod painted in polyester powder. 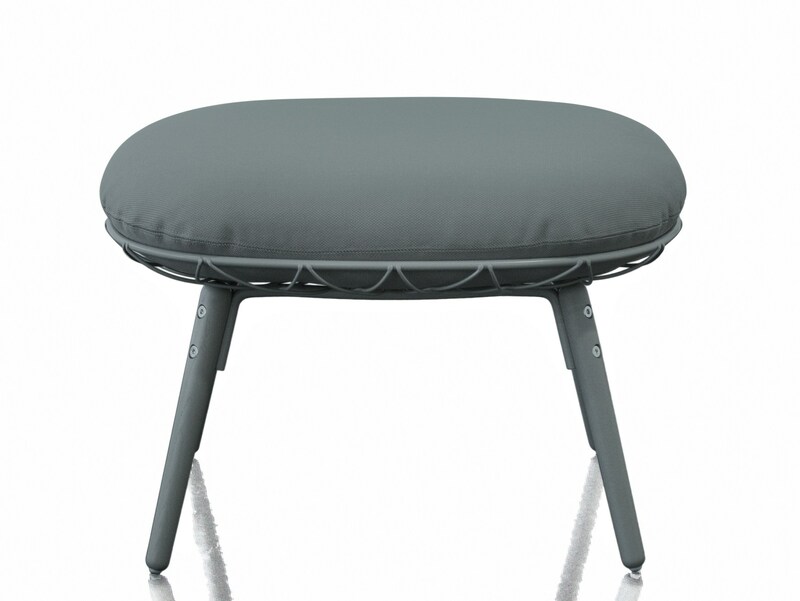 Cushion in expanded polyurethane with removable cover in fabric. W 26.38", H 17.72", D 21.65"